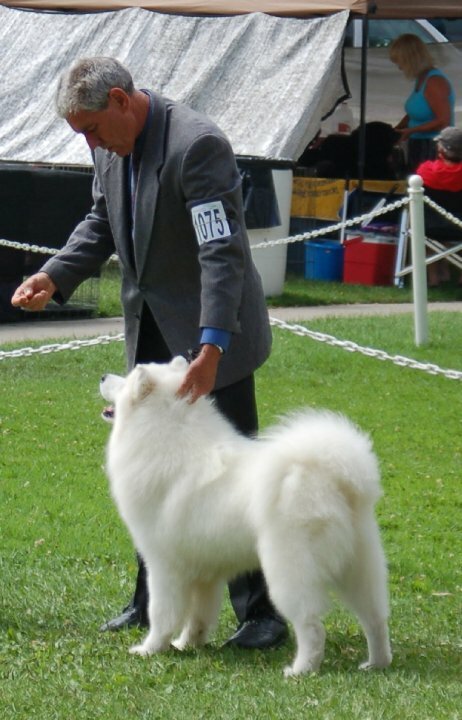 Cash is a beautiful show dog who finished quickly in limited showing. 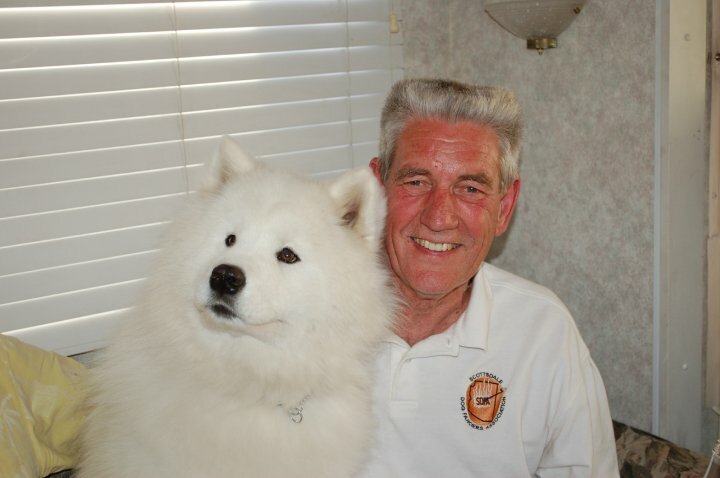 He lives with Jane and Alan, who initially had no interest in getting another puppy but just couldn’t let him go to a pet home. 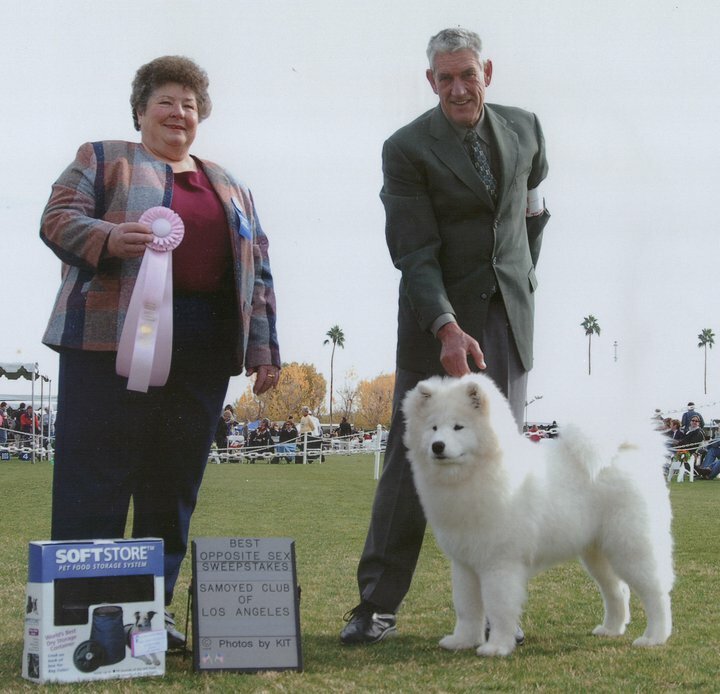 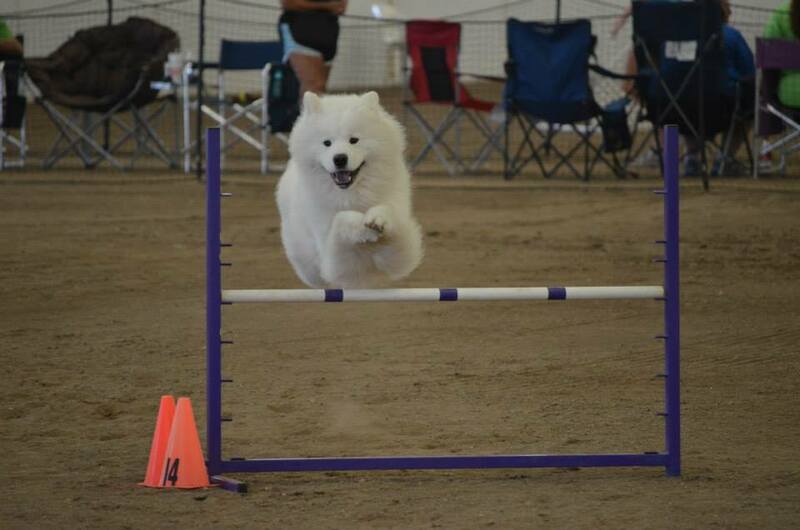 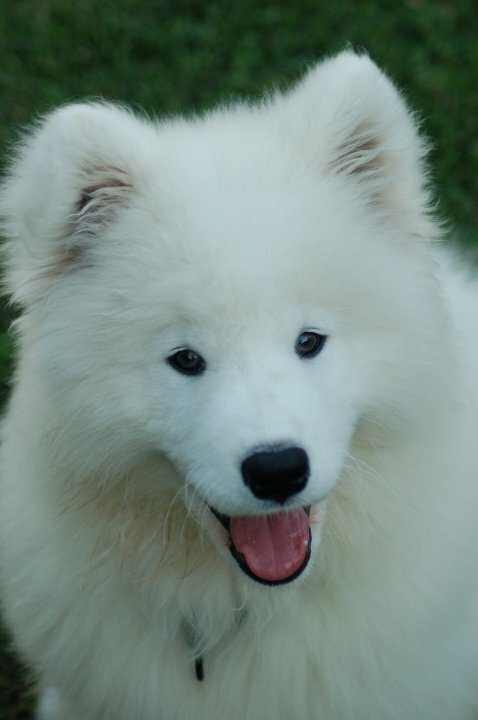 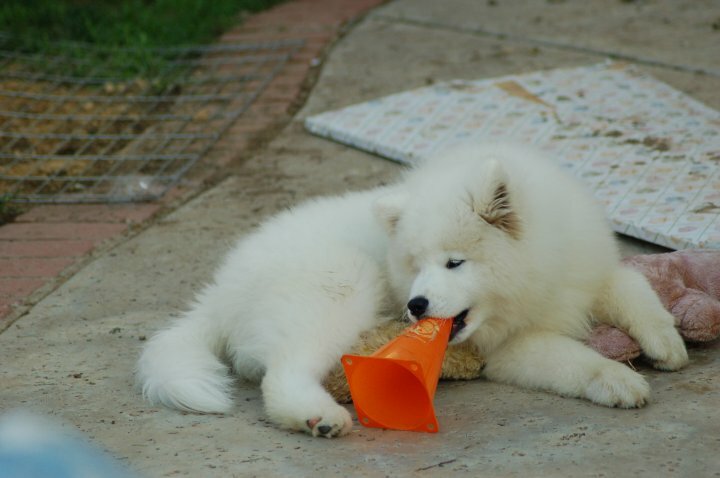 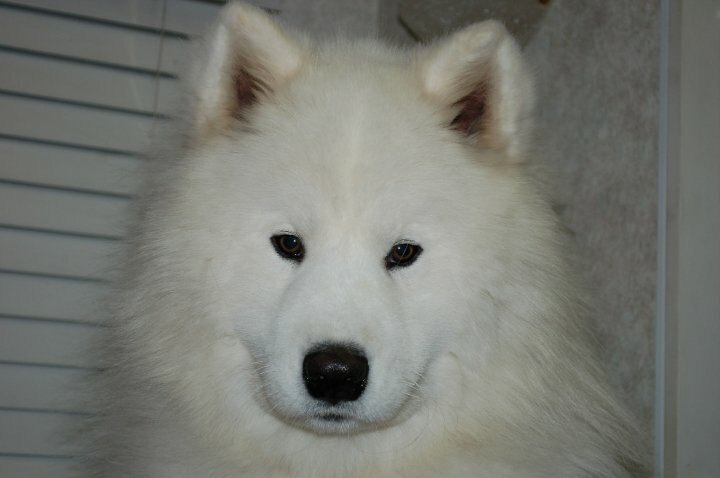 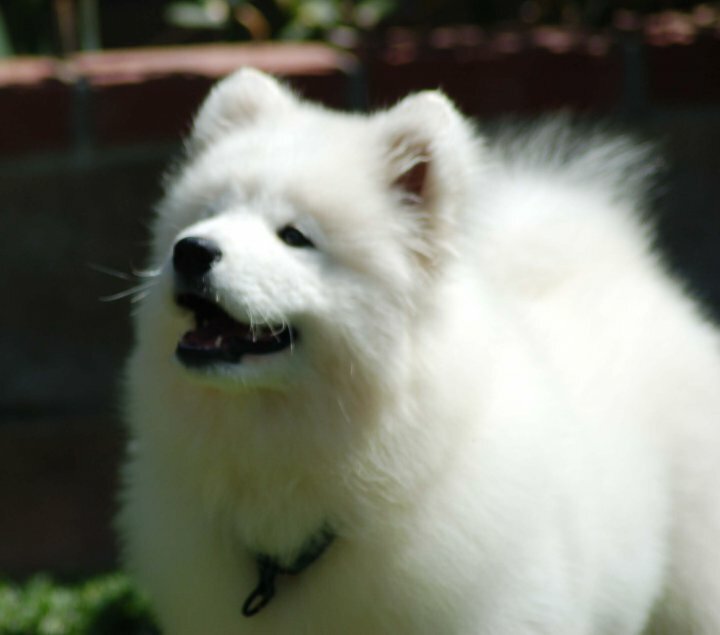 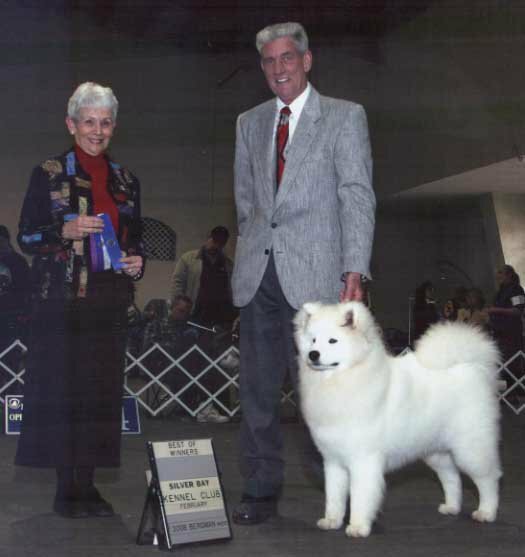 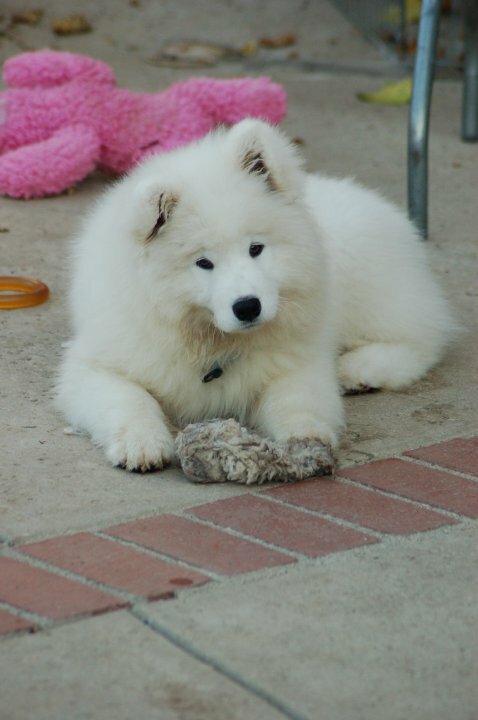 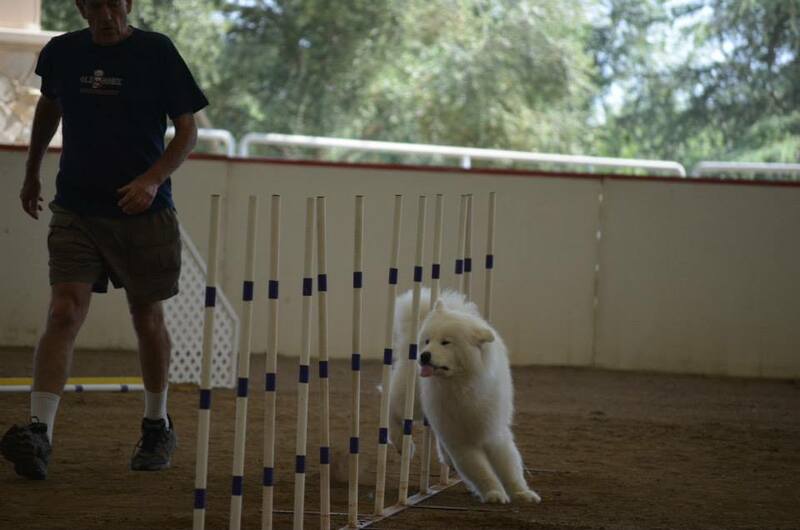 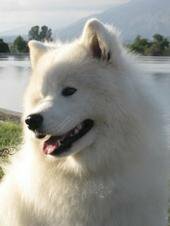 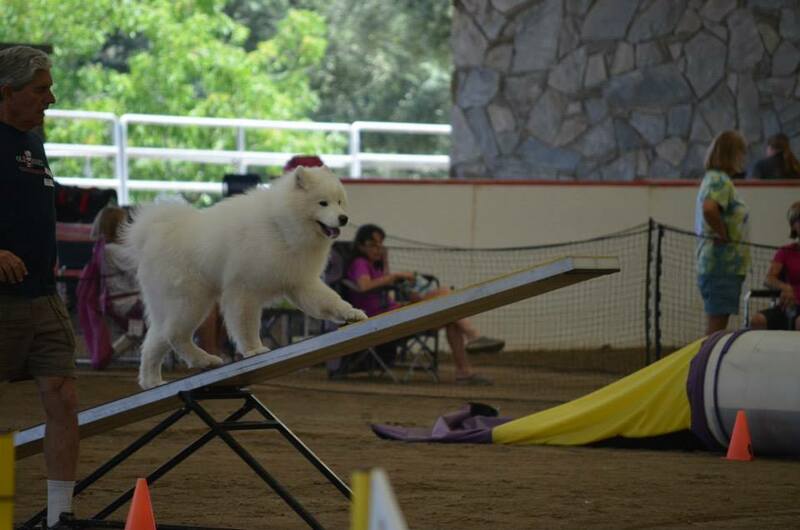 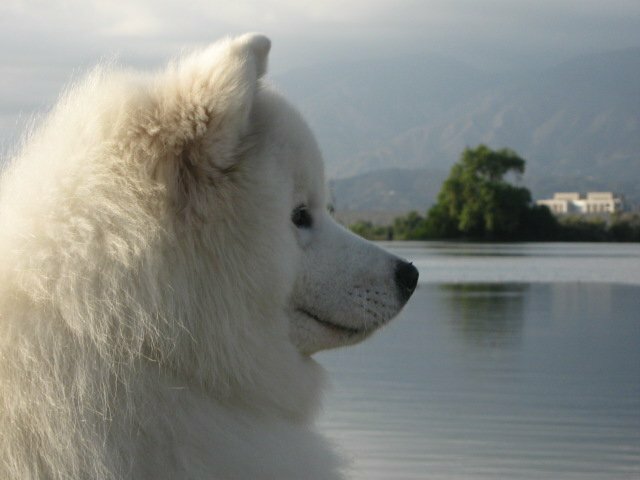 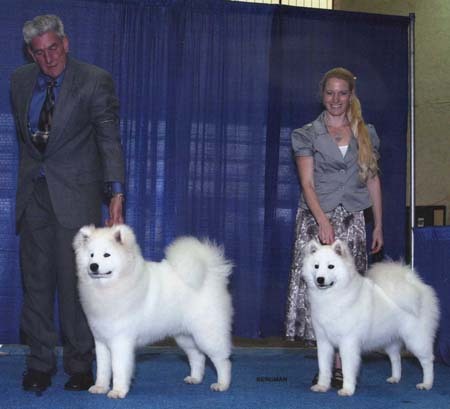 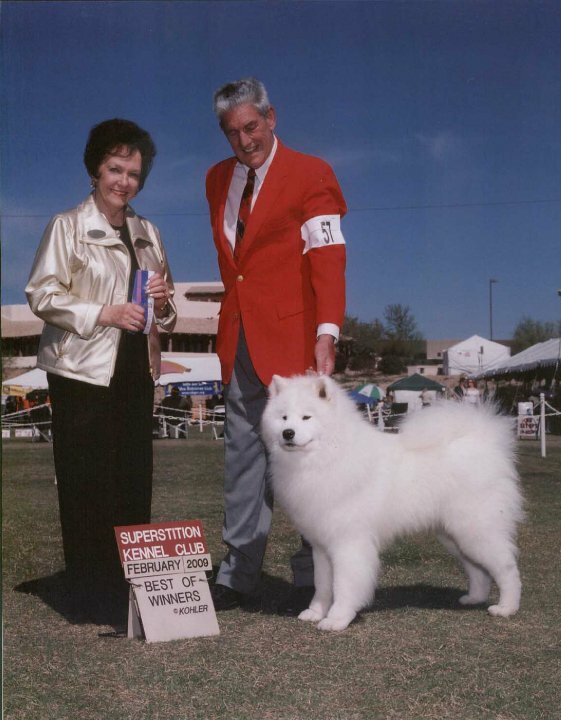 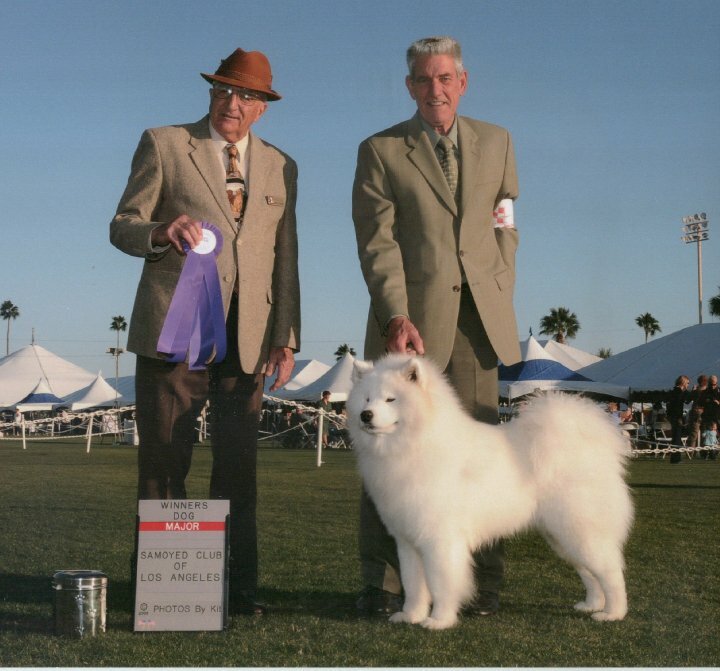 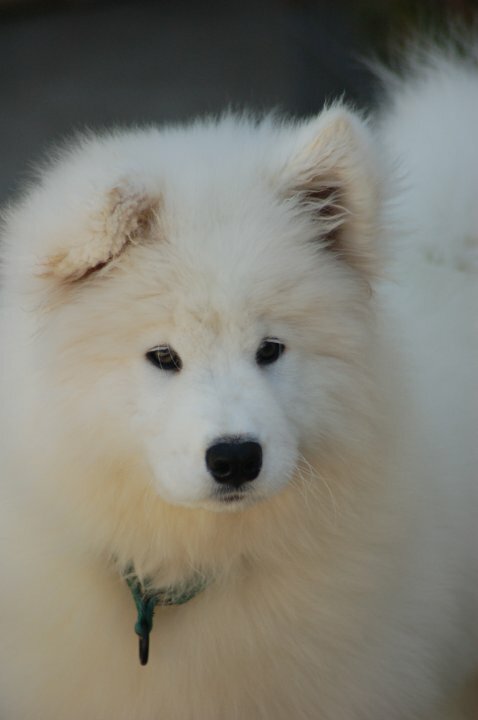 Even though he is in the middle of the Samoyed standard, he is too small to show as a Special out here on the West Coast. 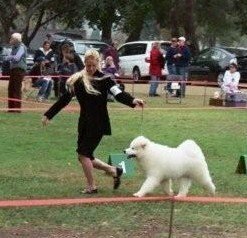 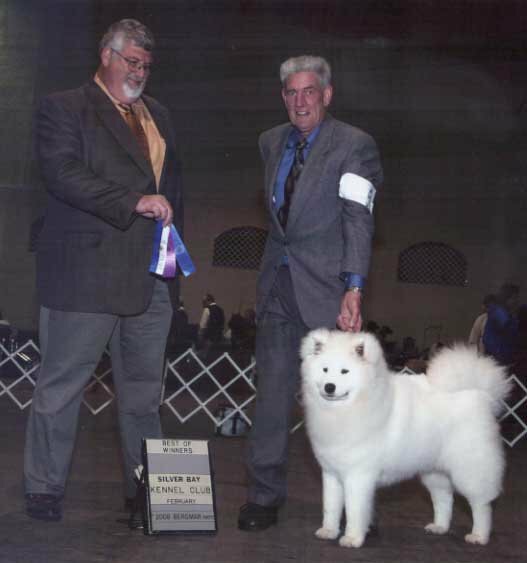 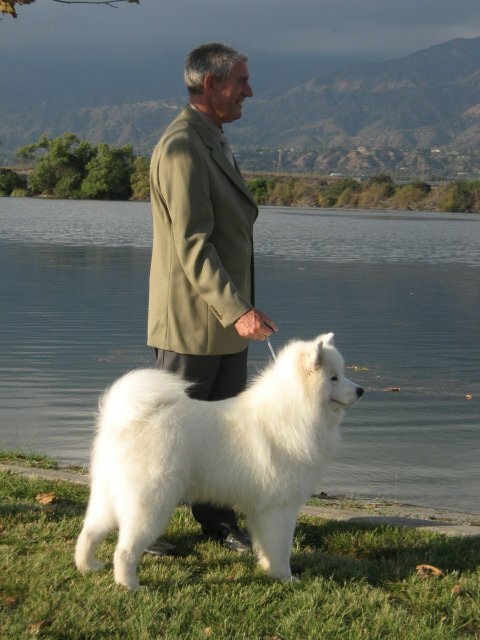 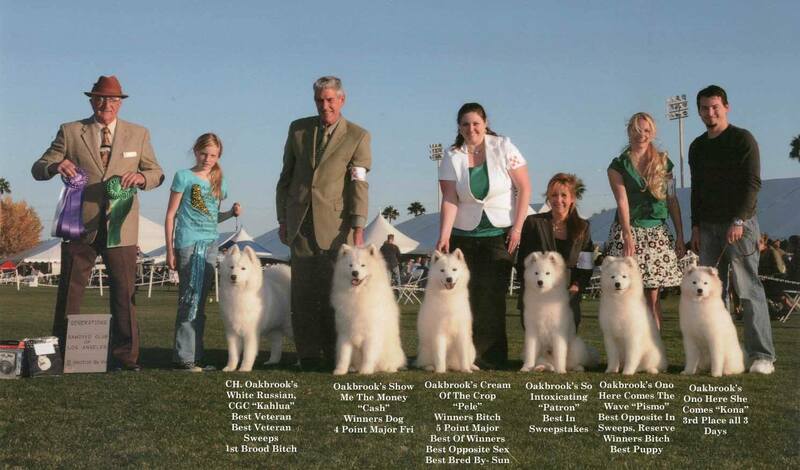 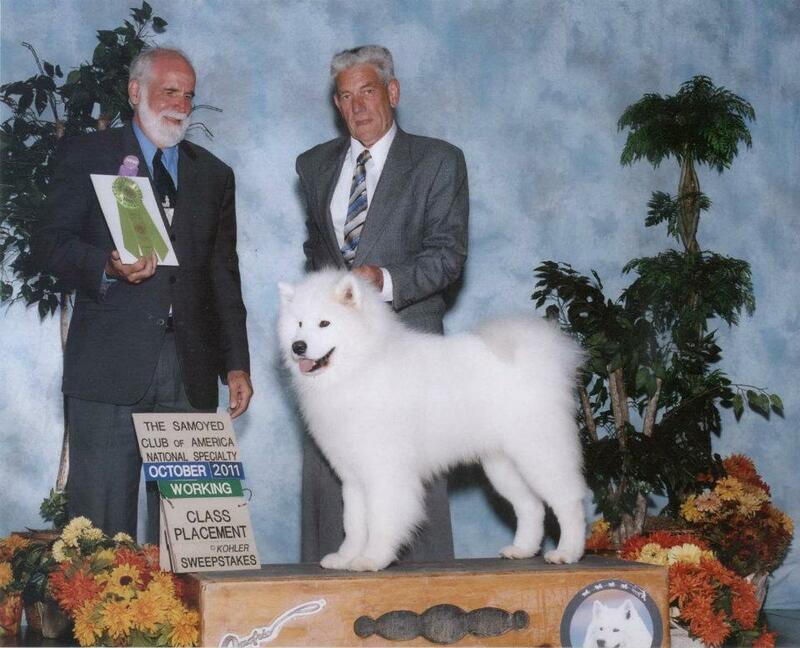 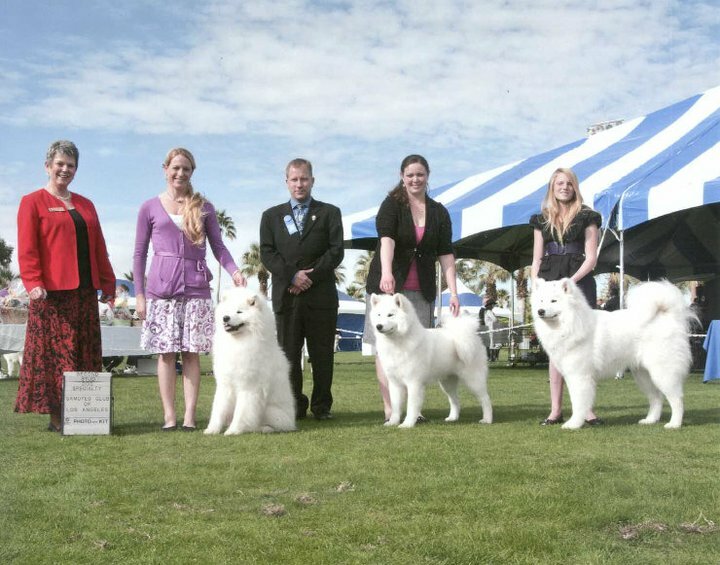 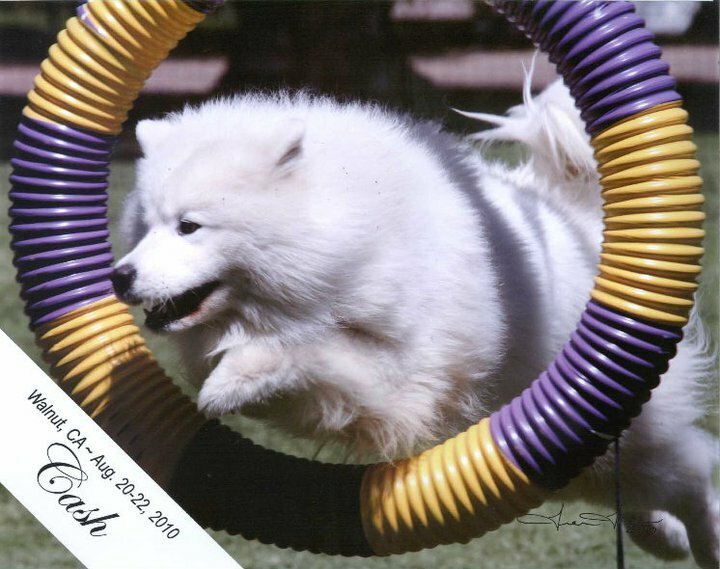 Luckily, other breeders have recognized his beautiful qualities and he has been a wonderful stud dog, producing many champions including the 2010 National Best Puppy and 2011 National Winners Dog. 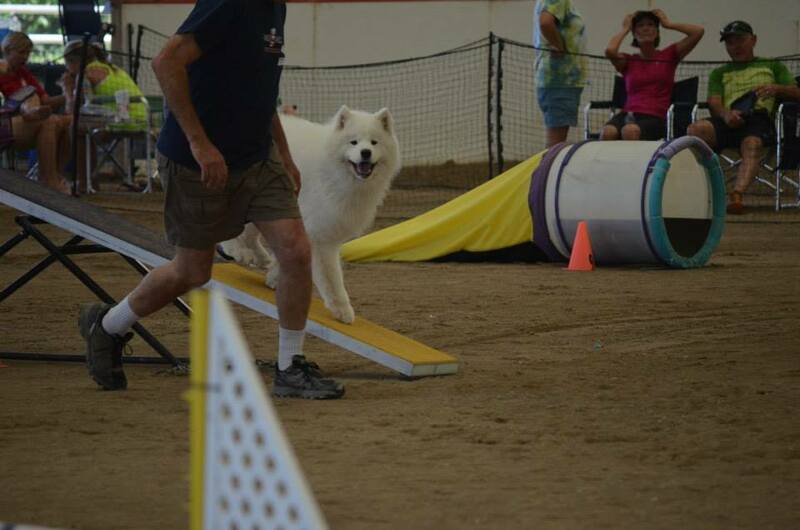 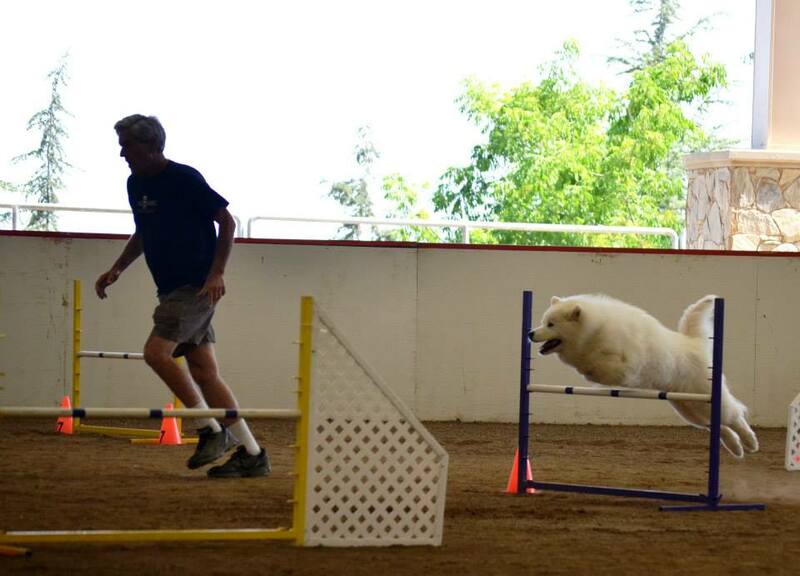 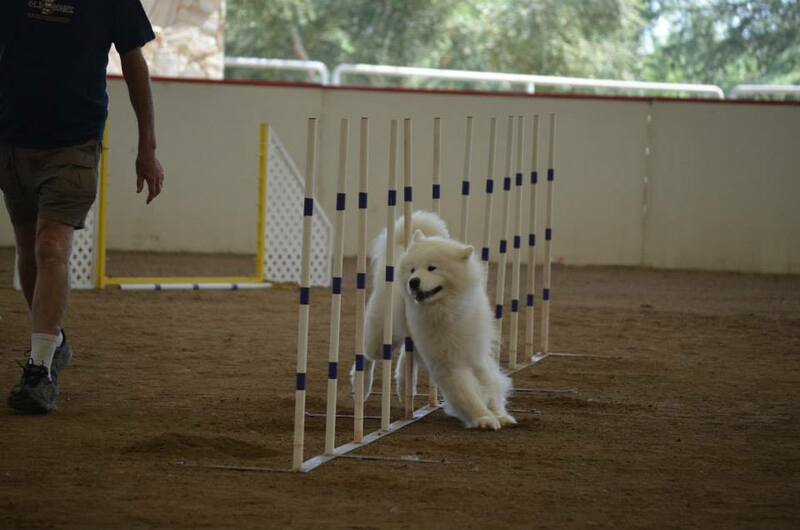 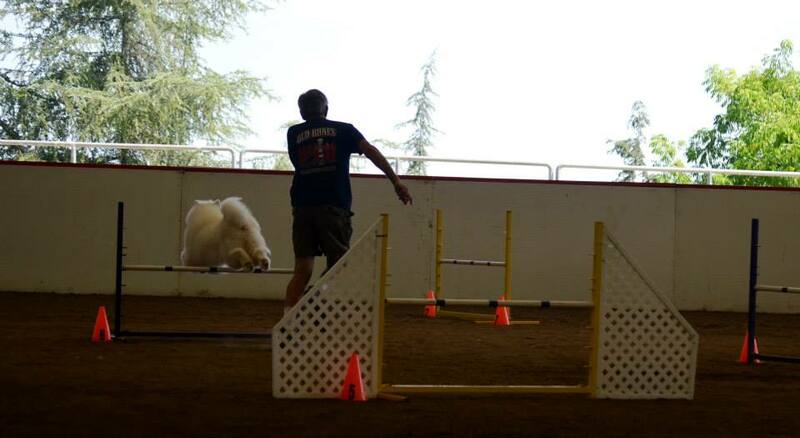 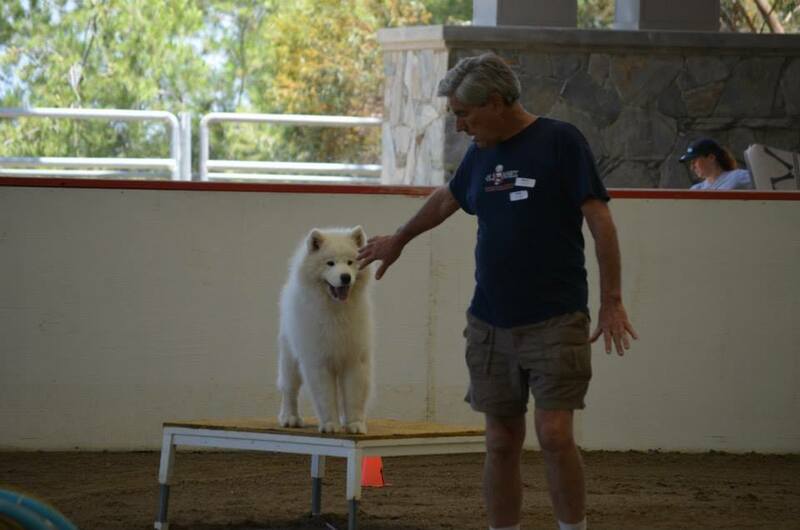 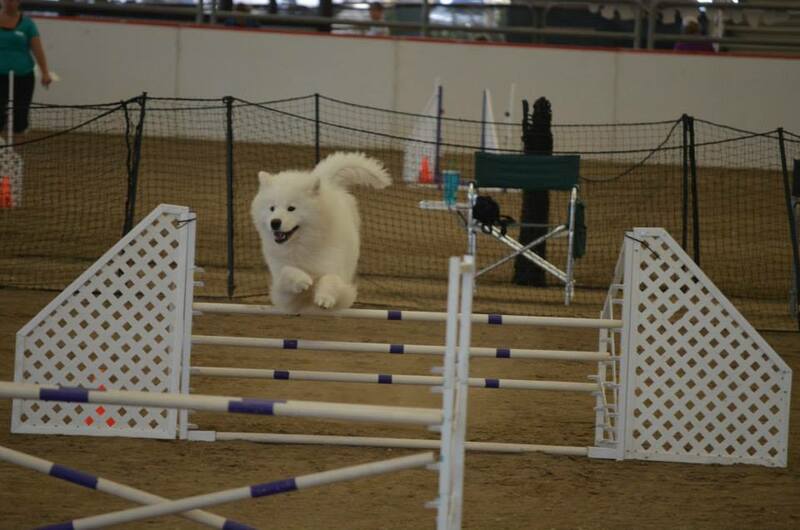 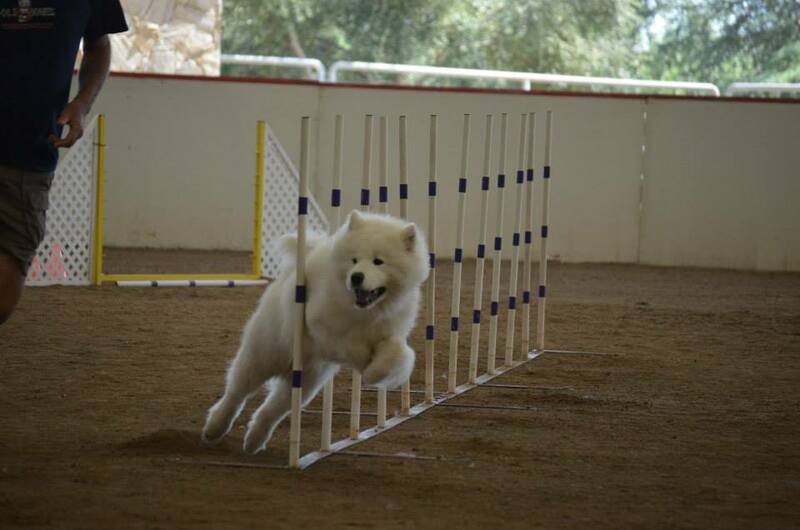 He is one of our fastest agility dogs and runs a few times a month at trials with Alan. 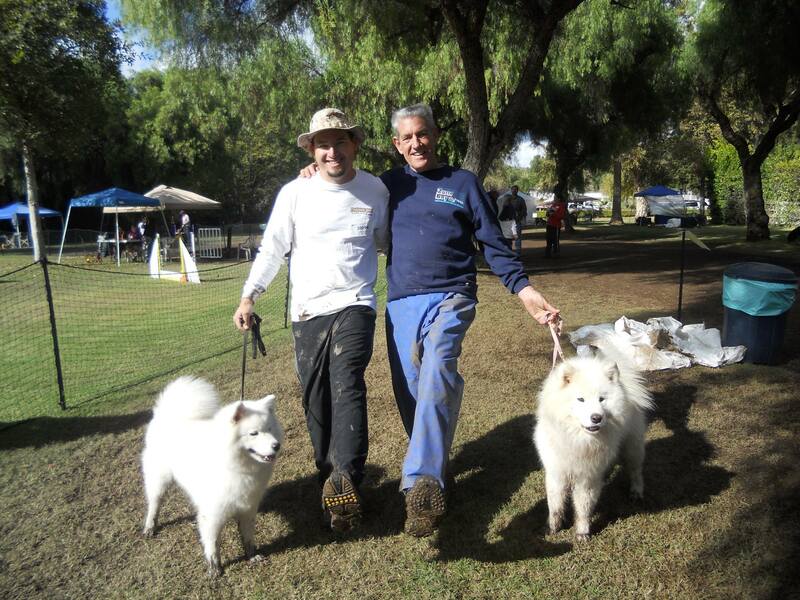 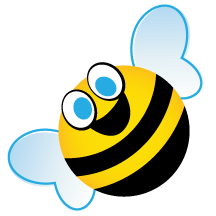 They make a great team and he keeps Alan on his 76 year old toes! 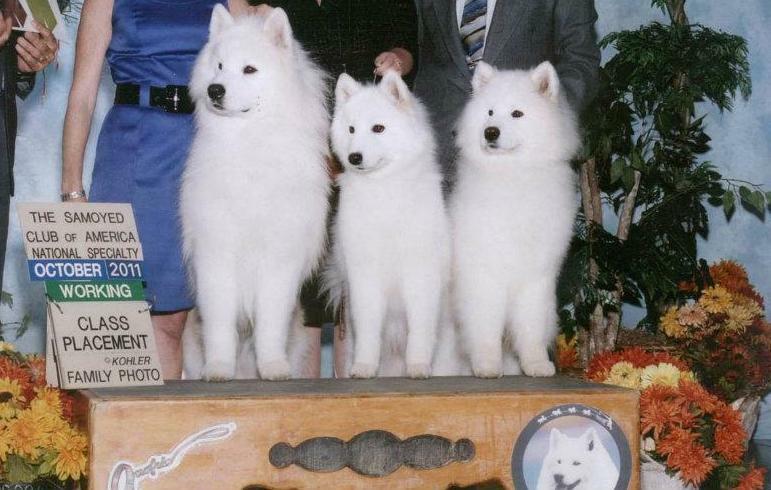 They are currently working towards their MACH title. 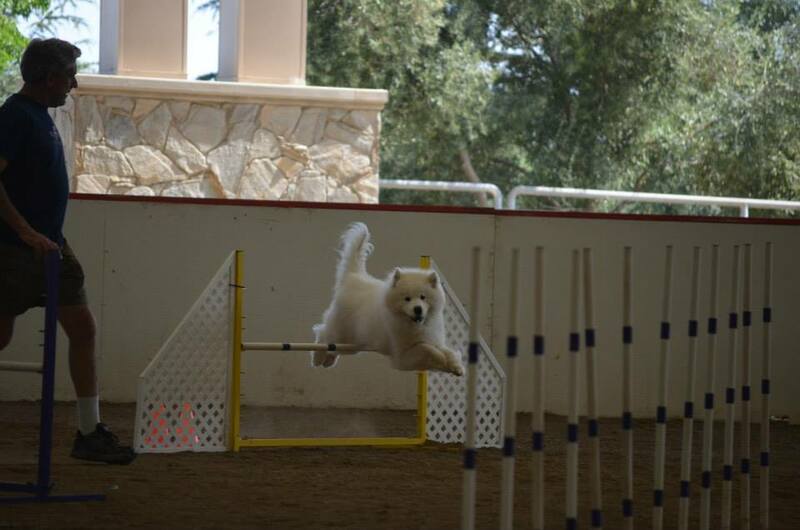 This Is What I Think of the Weave Poles!